Showing the way to success in Higher Education. 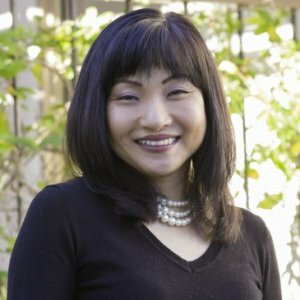 Originally from Thailand, Dr. Ruttanatip (Dang) Chonwerawong is particularly interested in access to higher education for students from low-income families, first generation college students, and--most importantly--students who are ethnically underrepresented in American higher education settings. Dr. Chonwerawong received her undergraduate degree in Teaching English as a Second Language, from Chiang Mai University, Thailand; a Master’s degree in Teaching Speech Communication/Adult Education from University of Wisconsin-Platteville; a Master’s degree in Educational Administration and a PhD in Educational Leadership and Policy Analysis from UW-Madison. At University of Wisconsin-Madison, Dr. Chonwerawong led a federally funded program called TRIO Student Support Services (now known as the Center for Educational Opportunity) for 14 years before becoming an Assistant Dean for Student Diversity Programs in the School of Education. While at UW-Madison, Dr. Chonwerawong also served as the Associate Vice President for Student Academic Support Services and supervised units, including Veteran Services, Latin@ Center, Readiness and Success Services, Undergraduate Academic Advising, Career Services, TRIO Student Support Services, ACE Scholar Program for Fostered Youth, and Educational Opportunity Program (EOP). She was appointed by CSUM’s President to chair a committee to study the feasibility of creating the first Black Student Center at CSUSM, which resulted in the establishment a center in Fall 2017. Dr. Chonwerawong then returned to Wisconsin and served as the Special Assistant to the President of the University of Wisconsin System, before accepting a position in 2018 as Dean for Student Development at Fielding Graduate University in Santa Barbara, California. During her free time, she enjoys spending time with her husband and two children. Other interests include volunteering, sewing, cooking, gardening, photography, and painting. I have heroes among my family, friends and the host of people at UW-Madison. Most notably I would have to say my [adviser] Dang Chonwerawong. As an administrator at UW-Madison, despite holding different positions, she really stayed on my case during my years of study at UW-Madison, no matter what. At times, it was difficult to stay focused, be motivated or not feel isolated as a student of color, to be honest. I would not have finished college if it weren’t for her steadfast support and [would] not have been able to truly enjoy the UW experience. Dang was a big reason I was able to study abroad in China and can now proudly say I’m a UW alum. Who will teach our kids if we don’t evolve?